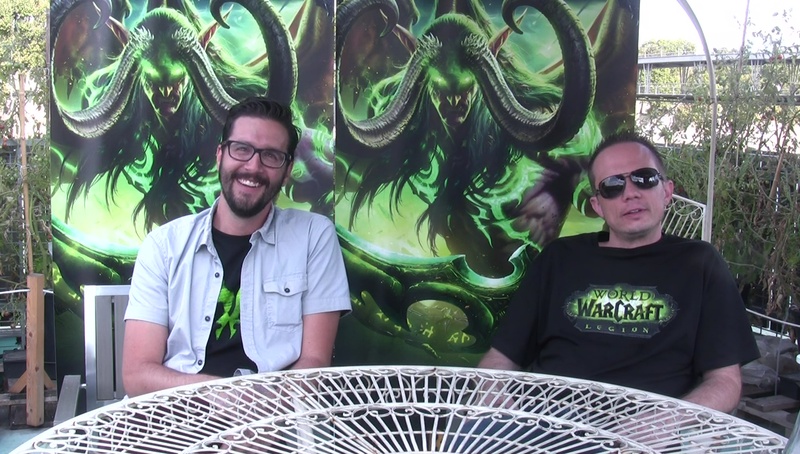 The Blizzard Europe team invited me to the Legion Launch Party in Paris to interview Michael Bybee (Senior Game Producer) and Ian Lang (Senior 3D Animator). Most of the questions focused on the Demon Hunter, Class Hall missions and followers, and Mythic dungeons. Bybee: My name is Michael Bybee. I am a senior game producer on World of Warcraft. My primary duty is to work on the UI Team specificly, but I am also responsible for the few features like the Mythic+ dungeons, the Order Hall questlines, and also the mission system. Lang: It feels great, right? Bybee: Yea, I love the demon hunter. Medievaldragon: The Broken Shore cinematics are awesome, and very emotional. Will Greymane and Sylvanas have a continued presence in future content patches to escalate their mutual animosity? Bybee: I don’t want to give away so much story that I would ruin it for people who haven’t seen the cinematics, but I’ll say that — first of all, I agree with you. Those cinematics are amazing, and the thing that works for us all is that it does a great job; and we are not done telling that story. There is a reason that we are building up that animosity, and it is going to payoff later. We’ll have to wait and see. Medievaldragon: Vol’jin is gone. Who is going to lead the Darkspear trolls now, and who is going to lead the orcs? Thrall is kinda retired or something. Bybee: (chuckles) Exactly. Once again, I don’t want to ruin the story there for players. I think it would be really disappointing if we revealed that kind of a big moment right now; but all I can tell you is that there are plans for the trolls to have leaders again, and we absolutely understand why people would be upset about without Vol’jin that they are a little lost without their leadership; and there is leadership coming. Absolutely for sure. People will be excited about it. Bybee: … Exciting with no details right now. Medievaldragon: It’s at least a promise that something is going to happen. Is King Anduin now the High King of the Alliance, or is someone going to step in to fill that role? Bybee: Hmm… that’s a really good question. To be honest, there are a lot of politics that haven’t been worked out since his father’s death. I think somebody could fill that role, but I think not all the leaders are 100% on the same page. There is a lot of chaos. People are still trying to figure out what’s going on, and you (the player) get to participate in part of the story. So the other side of that is (I think) that Anduin Wrynn as a character has been fabulous. He is coming back. He is stronger than he has ever been before, and actually I mean to say he’s … one sort of a joke for us that we use for him internally is we call him Man-duin, now, because he sorta man up a little bit. Medievaldragon: Yea. He’s grown a lot. Bybee: He is getting stronger; and if you are a fan and you have read the recent comics, you can see that Anduin has a future (at some point in the distant future) and he will absolutely be responsible for leading the fight against the final battle (whatever that is). Medievaldragon: Some artifact skins are unlocked via achievement. Will players be able to unlock the artifact skins account-wide or do they have to unlock the skins separately for each alt? Bybee: It is separately for every artifact, for every class, for every spec. I know that there is a lot of people asking for methods to catch up — especially for alts, and give you the ability to have it in all the classes. It’s something we have talked about, but it’s super unique. Medievaldragon: There are currently about 20 skin variations for each artifact. Any plans to add more skins in future content patches? Bybee: I think people who have been datamining all of our content found other appearances that exist that we have created, that you don’t have access to it right now, and I think that’s the best answer for that question. There is other stuff out there, but I don’t think we are ready to talk about it. Medievaldragon: What’s the proper way to use relics in your artifacts considering you get many of them in the quest system and later in dungeons and world quests? You get relics from quests, world quests, and from dungeons almost all the time, and then you don’t know how to properly use them. Bybee: It’s interesting. It’s much like any other gearing decision whatsoever. Obviously, the item level will increase so the relics help you increase the item level of your artifact; but the other side of it is that each relic gives you traits and that’s more of a personal choice. Some people are going to like the ability that gives a little bit more mitigation; but if they are more interested in active buttons they can press then they are going to want to increase that skill. I don’t think there is a right way, and I think that’s part of the fun. Lang: We want to give players that sense of control over their own fantasy and their own destiny, to the way they build their artifact. That’s part of that decision to allow them to have that choice. Bybee: With that said, there is always going to be people who want to count every last bit of DPS they possibly can, and I’m sure there are already a lot of answers for that question in some websites. Medievaldragon: What is the overall intention of Class Hall missions? I have seen some rare missions with rewards that start a quest. Bybee: I can talk a lot about this one. Probably more than you want. One of my projects was in the missions system, and what players were seeing is that there was a huge driver for this to make it so that the missions were a compliment to the gameplay, but they didn’t replace the gameplay. So a lot of the missions that you run will give you some rewards that you are interested in, but they are going to require Order Hall Resources. So you will get those by going out and playing the game in the real-world; and then a lot of missions will give you (like you said) a reward that give you a quest that sends you into a dungeon; or sends you out into another place that you may have to complete maybe Suramar content to unlock stuff. So the whole goal was: let’s give you something you could do, that is fun, but helps you engage in the rest of the world instead of getting you stuck in the Class Hall — which a lot of players did with the garrison. Lang: That was kinda of a lesson we learned from the garrison. We want to try and get you out in the world. Bybee: There is also a lot of other stuff you can do with resources like leveling up the talent tree for your Order Halls: like buying troops that you can do missions with. Medievaldragon: There is an option that requires resources to increase the amount of artifact power gained. Bybee: Also each Class Hall has a special armor set, and each piece of armor set offer different things. One of them you get by finishing the Class Hall questline, another one I think you have to kill (I think) 800 bosses, and each of them has their own iLevel; but then you can upgrade the item level of those by paying Order Hall Resources for token upgrades. There is a lot of stuff for you to do. Missions are just a part of that, and all of that requires you to go out into the world to get Order Hall Resources that you can then spend on increasing your power. Medievaldragon: Currently you can only have 5 active followers, and 3 inactive. Any plans to increase the active followers, or add more followers later? Legendary ones like Garona? Bybee: I know there is plenty of talk about this right now. I can tell you for sure there will be more stuff coming. I can’t talk about specifics, but what I will say is that one of the goals of the follower system was to keep the follower count low — because in Warlords of Draenor players managed to have 25 followers active, and you didn’t really know them, their names really didn’t mean anything, maybe Garona was the only person in the list that you even recognized. Lang: There is also a point now that the followers this time are a lot more impactful on what you do. So I am a warlock and I sorta need someone who can take a little bit of the damage. You can actually have a follower that sorta takes the tank role. So you have characters that can help to pair well with whatever class or spec you may require. Bybee: That’s called Combat Ally. For every single class (not all the followers, but a lot of the followers) have the ability to be slotted as a Combat Ally; and what is interesting about that is that we heard players’ feedback about: “Well, maybe I don’t need a bodyguard. Maybe I just want a special ability that is a button I can press; or maybe I don’t even like that. I just want a buff that I don’t need to think about, but it gives me a benefit. So you can make choices like that. We give you your champions (which is what we call followers in this expansion). Your champions can actually give you benefits. You get to choose which of them. Or you can just send them on missions, because you like to lord them around. It’s a lot of fun. 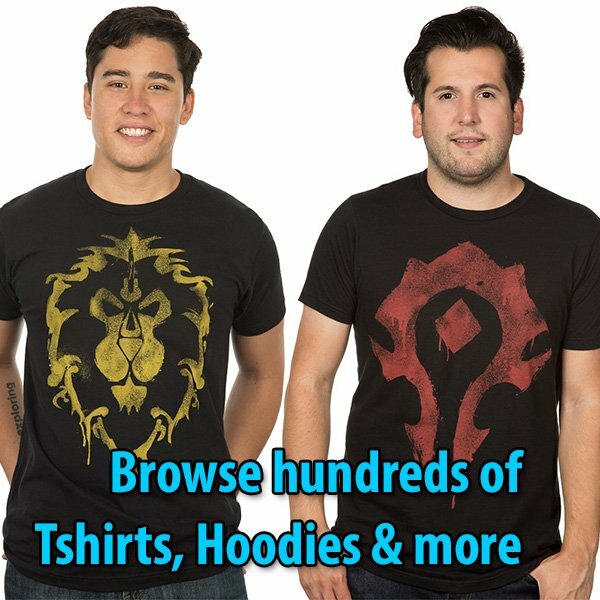 Medievaldragon: Staying on the topic, are there alternate ways to get Armor sets for a Class Hall follower? I know that some rewards give you armor sets, but it is kinda a slow process. Are there other ways to get those? Bybee: You are talking about how you level up the Item Level? Medievaldragon: No. Armor sets provide equipment, and– actually, yeah — they upgrade the item level. Bybee: Yea, there is two things the followers have: Champion Armaments, and then there is the Equipment. Champion Armaments is what increases the Armor Level of the followers. So for players that aren’t familiar with it, the way it works is that a follower… you level it up just like the player, and once you hit level 110 the level isn’t important anymore. It is the item level. So then you increase the item level using Champion Armor. That’s how you are able to increase it. Medievaldragon: Some rare missions require your follower to be item level 810 or 830. Bybee: Going out into the world when you are collecting treasures, those sometimes drop special Champion Armor. I believe that may have changed, but at one point in dungeons there was a chance to have Champion Armor as a physical piece from a dungeon; but more importantly than any of that is that if you are leveling up your class talent tree, there is an option (I think for every class now) where you can choose to train a special Champion Armaments work order person that you can spend Order Resources to get Champion Armaments back; and you can get a lot of armaments that way; but you also get a lot of Champion Equipment (which gives you a lot of options for giving your champions more abilities and skills).